Marketing is utterly essential for the survival of any business. This automotive training workshop offers formal training in marketing and advertising. 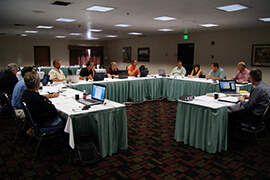 The course focuses on planning concepts and methods, budgeting tools, and implementing effective marketing techniques. Other topics include developing a logo; establishing an advertising budget; using reference coding to effectively track advertising efforts and results; and many other proven effective methods of direct mail advertising.